Sitting in a coffee shop with coconut macaroon cookies, cup of coffee (or tea or mocha or americano…), and a good book with people does sound like a great time, right? Luckily, we of CLP-Brookline found some like-minded comrades in our quest for alternative reading this past Thursday at the local favorite, Cannon Coffee, as well deciding on our first two reads! This book will blow your mind. 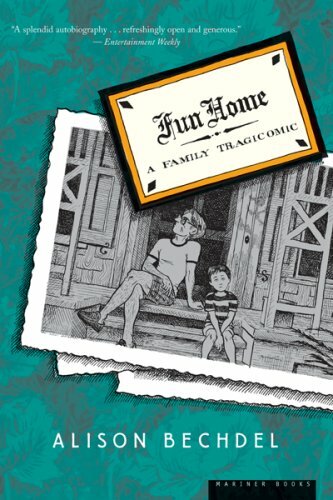 First up, by an unanimous vote, the just-got-to-know-ya book group have selected our April book to be Fun Home by Alison Bechdel, an eye-opening graphic novel memoir about a young girl’s complex relationship with her father growing up while having to help out with the family business of running a (fun)eral home. She discovers things about her father she never knew until after his death, and strangely enough, she develops a stronger connection to him than ever before. Do you enjoy graphic novels? Then you will love this. Never read a graphic novel before? This is worth the chance. You should take it. Heck, already read this a million times? You should probably come. This book will also make you question everything you have ever done. If this isn’t enough to sway you, our May book will be Downtown Owl (and on CD, how delightful! 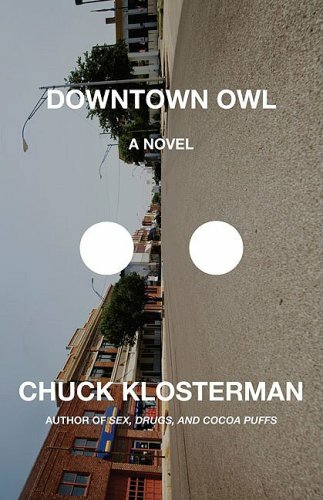 ), written by Chuck Klosterman. While Chuck is usually the guy behind heavily intricate essays on pop culture and the what-of-it notion of understanding, this is his first fiction novel. Set in a fictional town of 1983 Middle America, he spins a story of several characters who eventually become intertwined due to a historically accurate snowstorm that led to a few deaths. While this is not a graphic novel, you will still become immersed with his affectionate irony and modern humor. The next meeting for Brookline Book Buzz is scheduled for April 25th at 6 PM at Cannon Coffee, the hippest coffee shop off the I-79 corridor. Coffee is produced by Commonplace Coffee Co., and let me just throw this out there: They have a sweet outdoor patio in the back. Don’t you want to sit outside in warm weather, drinking your iced coffee, and talking about awesome books? I know you do. If you haven’t been to Polish Hill in a while, or thought that it was mostly houses and Gooski’s, then you’ve been missing a lot! There’s a pool, a Civic Association, a place to make art, a gorgeous church, and these three shops, not to mention an all-around cute, friendly neighborhood. When the Book Buzz committee was deciding on what titles to pick and where to discuss them, I immediately thought that we should discuss a graphic novel at Lili Coffee*Shop, because I’d recently been there for a talk and signing by 2 new comics luminaries and had had a chance to visit the comic shop upstairs. 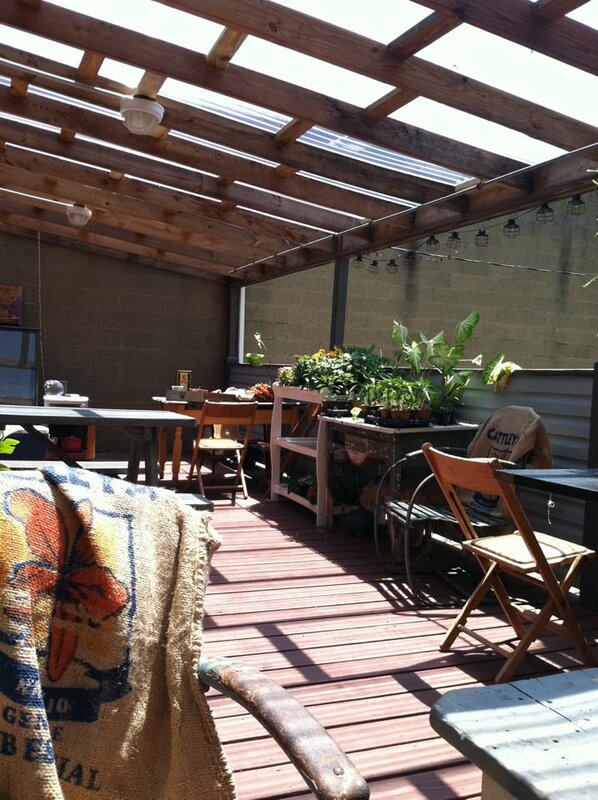 Lili is a small space packed with charm (and a delicious tempeh reuben), and they manage to host a variety of events, including live bands and literary readings. Copacetic is a treasure trove of independent comics. It would be the perfect place to discuss a graphic novel! If Dan’s post on Black Hole piques your interest, I hope to see you at Lili Coffee*Shop on August 20th to discuss the book!